If there's any remaining doubt that the student loan burden is growing, a report from the Consumer Financial Protection Bureau should put it to rest. The CFPB today released a new data point finding that nearly half of student loan borrowers leave school owing at least $20,000 – double the share of borrowers a decade ago. The Bureau also found that more borrowers are taking out student loans later in life, and fewer are paying down their student debt in five years. In a separate report, CFPB said more employers are offering help to their employees who are struggling to pay off their student loans. The report features a series of recommendations to help employers and other companies that manage benefits programs ensure that borrowers receive the maximum value. 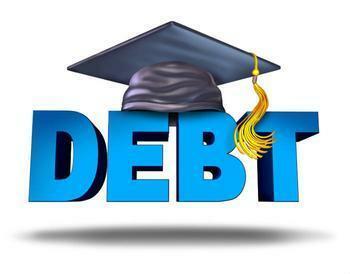 The student loan market has grown rapidly in the last decade, with about 44 million Americans currently owing money. The combined total of outstanding federal and private student loan debt now exceeds $1.4 trillion – the vast majority of which are federal loans. More than 40 percent of student loan borrowers leave school owing $20,000 or more. The study finds that the percentage of borrowers owing $20,000 or more at the start of repayment has more than doubled since 2002, from 20 percent to more than 40 percent. The percentage of borrowers owing $50,000 or more has seen even more rapid growth, tripling over this same period from 5 percent to 16 percent. Half of student loan borrowers are older than 34 when they start repayment. Since 2003, the percentage of borrowers starting repayment over the age of 34 has doubled, increasing from 25 percent to nearly 50 percent. Thirty percent of borrowers are not paying down their loan balances after five years in repayment. The percentage of borrowers who are not paying down their loan balances has nearly doubled, increasing from 16 percent in 2008 to 30 percent in 2016. This means that even if borrowers are making payments, those payments are not enough to cover the interest on their loans. Therefore, the amount of principal is the same and the overall amount of debt is the same or more, depending on how much interest has accrued. More than 60 percent of borrowers who are not reducing their balances are delinquent.